The waiting game's almost over! MYOH 2014 is about to hit the Ilocos soles and you wouldn't want to miss this! Known for the samba and the most decorated national football team in the world, and home of the biggest and most festive street party in the world, Brazil is a cultural melting pot of ethnicities that has cultivated a very colorful and lively street culture. While we all may not have the luxury of experiencing the streets of Brazil this summer, Havaianas brings Brazil to the Philippines through Make Your Own Havaianas 2014. 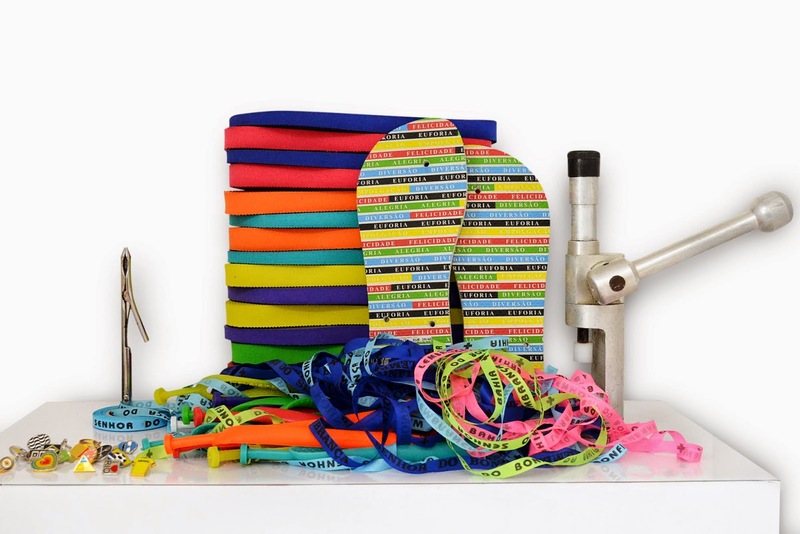 As the summer season hits full throttle, it’s that special time of the year when Havaianas gives us the creative license to decorate this season’s must-have accessory—flip-flops. The thrill in this full-customization event comes in the ability to mix and match everything: from the soles and the straps, to color combinations inspired by street art, and to the fun limited edition pins. 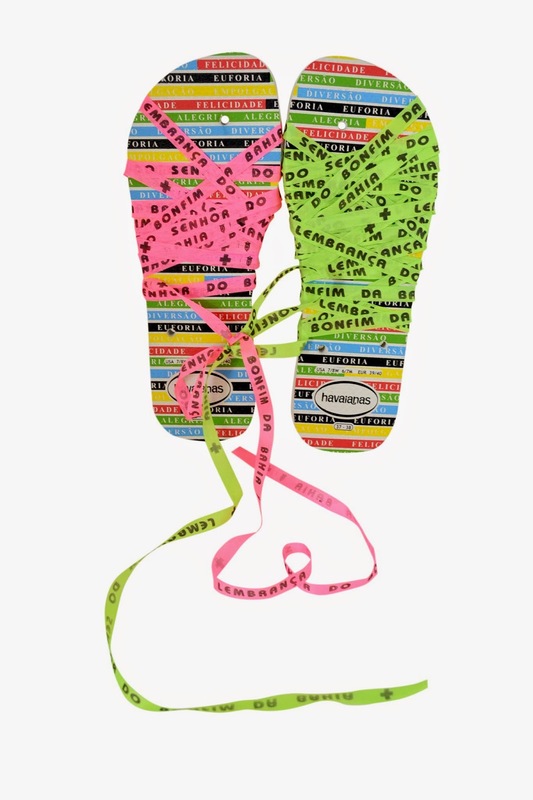 This year’s commemorative pair features colorful Bonfim wish ribbons that are worn for good luck. The print wishes every wearer Alegria, Diversao, Empolgacao, Euforia, and Felicidade or Joy, Amusement, Excitement, Euphoria and Bliss – true to the Havaianas always summer spirit. Make Your Own Havaianas is the ultimate activity for self-expression and Havaianas encourages everyone to be as daring as the Brazilians when customizing their flip-flops. Last year, Havaianas made a milestone when they brought the biggest flip flop customization in the country outside Metro Manila. 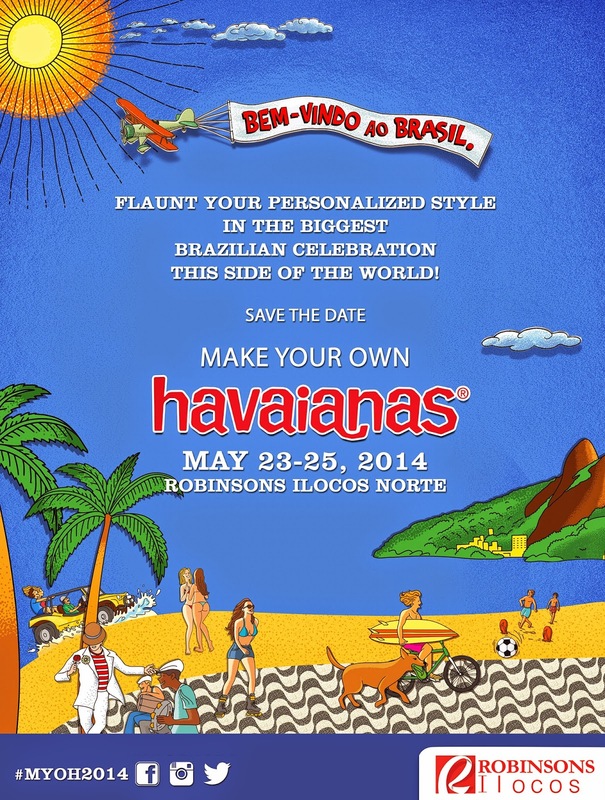 This year, Make Your Own Havaianas returns to Ilocos Norte on May 23 – 25, 2014 at Robinsons Place Ilocos Norte, open from 10:00 AM to 9:00 PM. There will be no entrance fee so everyone is welcome to customize their own Havaianas and celebrate the streets of Brazil. As you enter this year’s Make Your Own Havaianas Brazilian Carnavale, come in your most festive summer attires and allow the Brazilian roots of Havaianas to unleash the creativity in you. Then flaunt it, the Brazilian way. Brazilian inspired performances will make the event even more festive, as Capoeira, Mardi Gras, and Samba dancers hit up the dance floor every day at 5 in the afternoon.